Dr.Hauschka Revitalising Mask deeply soothes and renews all skin conditions in just 20 minutes. A blend of Quince Seed, Anthyllis and Chamomile Extracts support the skin’s renewal processes, helping to maintain moisture, minimise pores and calm redness and irritation. Nurturing Jojoba, Apricot Kernel and Wheat Germ Oils clarify and smooth skin. 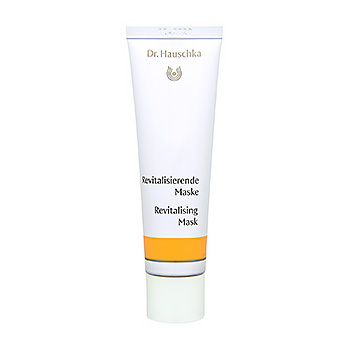 Dr.Hauschka Revitalising Mask makes your skin feel pampered and offer it a sense of well-being. Skin appears more even and toned, glowing with a healthy radiance.